7 must-have pattern design tools ~ Elan Creative Co. I often get asked about the tools I use to design websites or patterns. Today, I want to share with you 7 must-have pattern design tools. I don’t believe that you need the newest and most expensive tools to create great patterns. I keep seeing posts that recommend getting the latest iMac and Wacom Cintiq tablet. While those are tools that every designer would love to have, they might be too expensive for new designers or people that just want to learn how to make patterns. If you want to design patterns, the most important thing is to start working. You can use a sketchbook or just plain paper to gather inspiration or for the early stages of the design. I usually doodle with pen and ink on print paper because I use Illustrator to draw my motifs. I’m obsessed with pens. I used to take notes at university with glitter gel pens and I have a huge collection of markers. If you don’t like to spend hours inside an art supply shop, you don’t have to. For pattern design, you need a good pencil and a black drawing pen. You can also experiment with brush markers, watercolor pens, or calligraphy markers. You can use your camera to capture inspiration or to photograph your sketches. I have a DSLR camera, but I usually use it when I travel. I often use my phone to capture interesting images and textures. There are also a lot of great apps that help you digitize your drawings and create patterns from your photos. If you want to use your drawings or paintings for your designs, a good scanner is a must. I used to scan my drawings at 300dpi, but if you want to use Illustrator’s image trace tool, you should scan them at 600dpi. The computer should probably be at the top of this list. While a desktop computer is better because it’s easier to calibrate the monitor, you can also use a laptop to create patterns. You don’t need the most expensive computer out there, but you should buy a computer that has a good graphics card and a good memory. Design files are usually big and design software can be slow on a regular computer. You probably know that I love Adobe software. Adobe CC is the industry standard and it’s also what I recommend using. 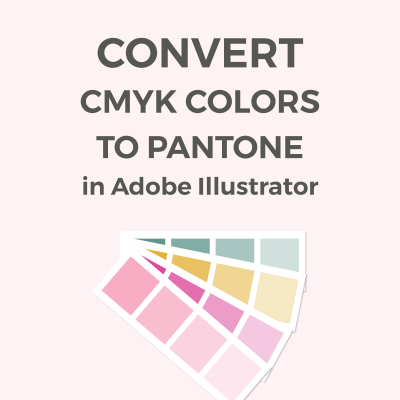 Adobe Illustrator is perfect for surface pattern design and it comes with many tools that will help you make beautiful patterns. You can also use Photoshop for pattern design. I love using it with watercolors. A drawing tablet is not a must-have tool for a designer, but my Wacom Intuos tablet changed the way I design patterns. And it changed my life! I’ve made hundreds of patterns since I got it and it’s been a huge help. Even though I think doodling on real paper is important, I often skip that part of the design and I draw the motifs using my tablet. I have an older tablet, and while there are so many new and amazing drawing tablets, I still love it and don’t plan to change it anytime soon. I have a Canon Pixma all-in-one printer. I use it to test my designs before I send them to my clients or upload them to my shop. 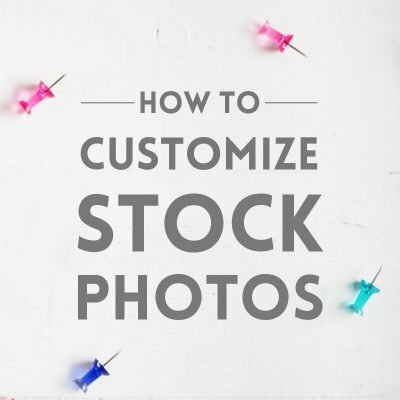 It’s also great if you want to create moodboards with photos, patterns, and colors. While these are must-have pattern design tools for me, you can create beautiful patterns with just a computer and the right design software. 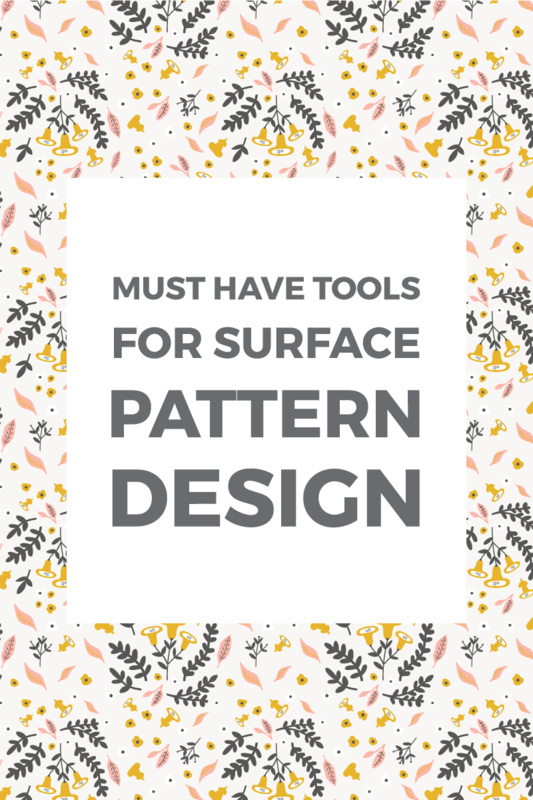 What are your must-have pattern design tools? Hello, all you lovely designers…..
but I keep telling myself well you have everything they offer. THREE: Procreate- I love it and that is all I will say, and I hope you try. I am a Photographer, stock, and studio, activities, special events, “A so must have” Ps express, It really has almost everything within itself, filters, crop, pre-sized for each platform and my studio, collages, text, frames, blemish, adds my Watermark, shares, and then you click over and share straight to Ps’s other apps, Lr, AI, Ps Fix, and more. And NOW it seems each day the three Adobe Spark Apps continue to add more, and more, you can create your website pages- quote post- videos, and so much more. But do not be scared because each app has a reset, “EEwwhhOO poooppy” return back to the normal, original photo at any stage. And of course their own storage Creative Cloud. to display your artwork, and an app in its own little blue briefcase to easily reachable whenever, and wherever you would like to share. is more laid back, convenient escape, and everything in the palm of my hand… Oooyeahhh even better, in one without syncing this or that, and I also invested in an iPen that works beautifully, and with Android tablets as well. But Walmart and Amazon carry pens under $20 and they work for those wanting the use of a pen minus the $$$$ of Apple products….Yes, I have a few different and they DO work well. Okay, I have taken up enough of everyone’s time. I cannot help that I love what I do; doing what I love and if I can help anyone, when it comes to saving money and Arts…. I do my homework because of its worth that extra time, to keep you informed and not blind-buy or do not rush and simply buy all the time, good luck to all in your styling endeavors and I hope I helped a little. I’d love to try Procreate. I’ve heard so many great things about it, but I don’t have an iPad. There are so many great apps, especially for photo editing. 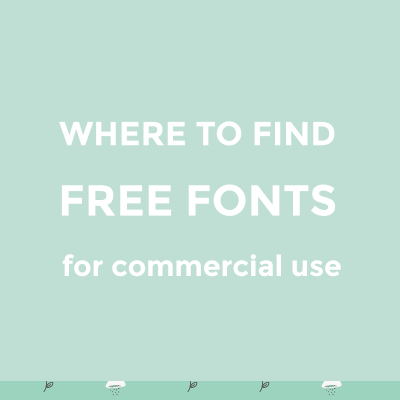 I wanted to keep the list short because I know many people don’t start a design business until they have everything, but most of the times you only need a laptop and Photoshop or Illustrator. 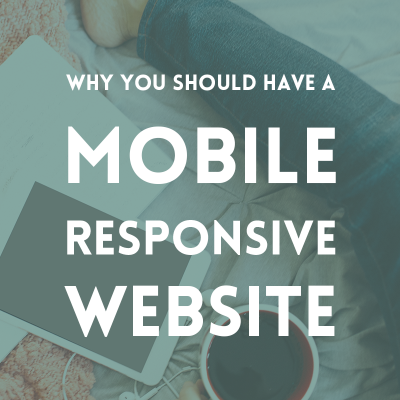 Or Canva if you want to make social media images. Thanks for your comment! Sorry I did not see how to include favicon or logo… again my apologies….